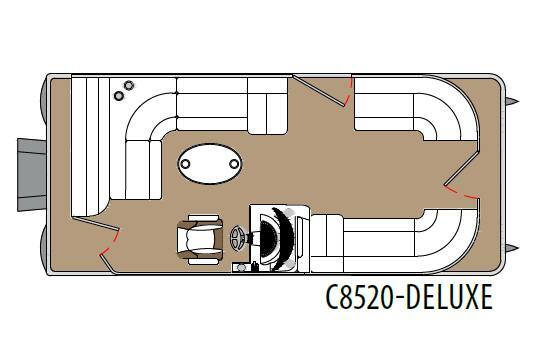 When nothing but the best will do you won't have to look any further then this NEW 2019 Montego Bay 8520 Deluxe. With attractive flush top colored wall panels and accented chrome logos. 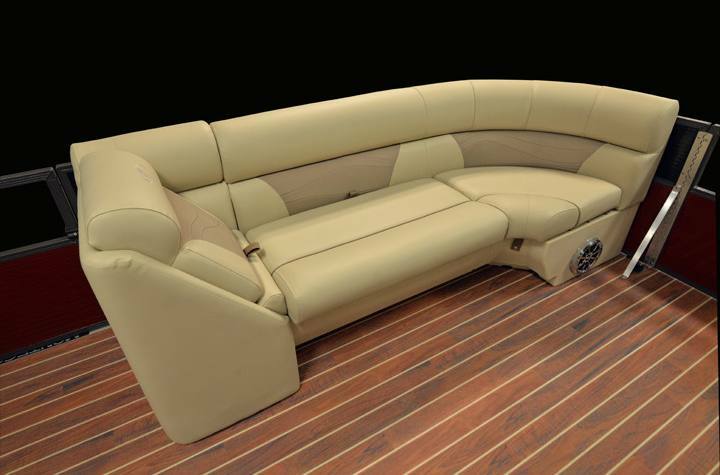 The deluxe console with windshield, chrome steering wheel, Bluetooth stereo and gauges give this pontoon a deluxe look. Polished corner castings, stainless cleats and tube skirting all make these models very elegant looking from top to bottom. This NEW 2019 Montego Bay is Blue in color with the top rail skirt being champagne in color, has upgraded powder coated rails, and an Asiago vinyl floor. 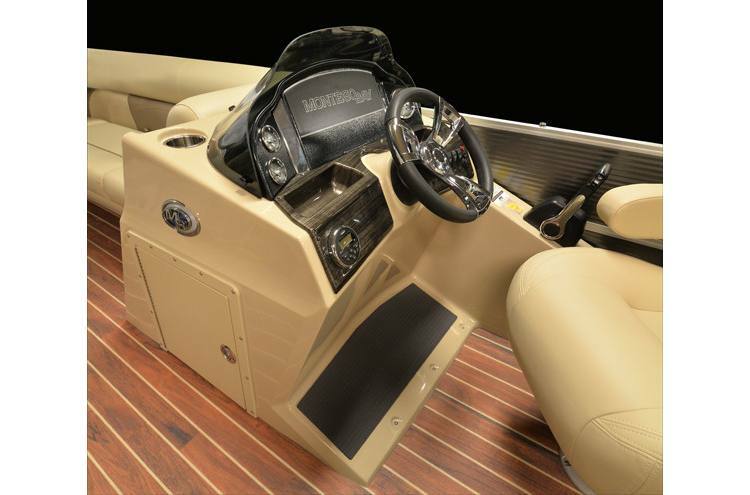 This pontoon is also upgraded with a 27gallon fuel tank, two additional speakers, docking lights, four blue toe kick interior lights, hydraulic Baystar tilt steering, a ski tow bar and a playpen cover. 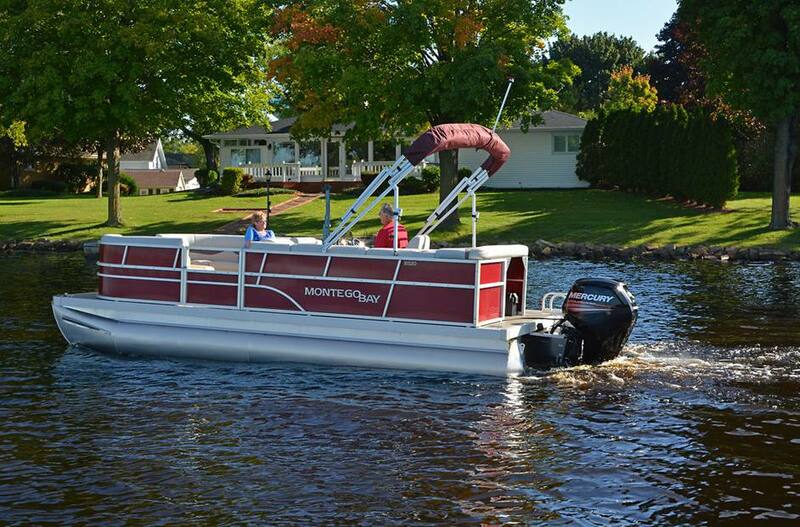 This pontoon is rigged with a 90HP Mercury outboard, has a sterling V3 speedo gauge and a trim gauge. When nothing but the best will do, you won’t have to look any further than our Deluxe Cruise models. 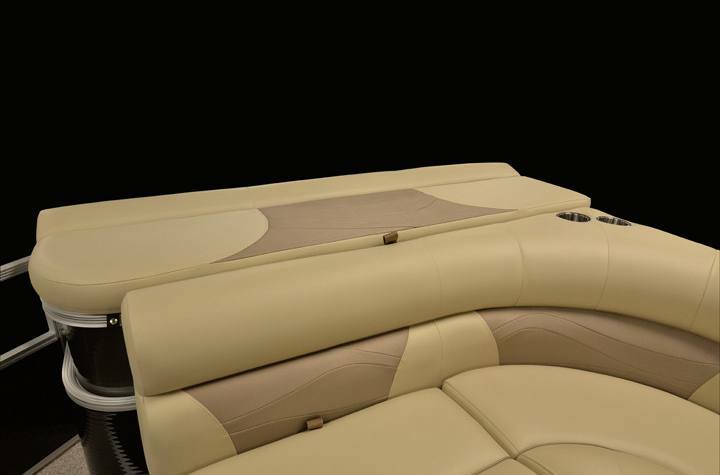 Available in 16’, 18’, 20’, 22’ and 24’ lengths, these pontoons have it all. They feature attractive flush to top colored wall panels, accented with chrome logos. 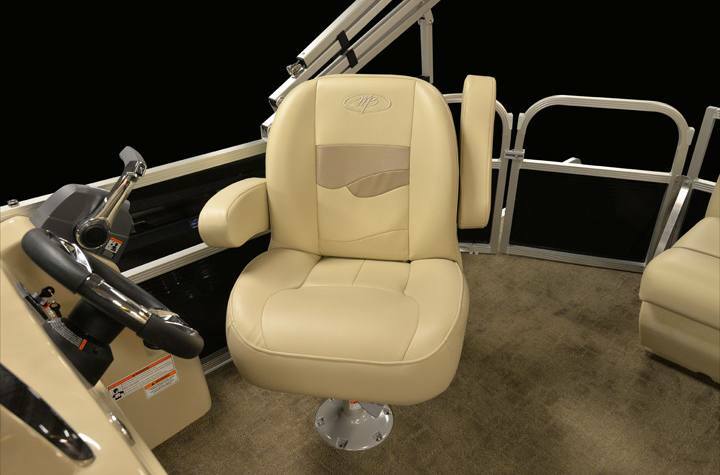 The deluxe console with windshield, chrome steering wheel, Bluetooth stereo and gauges give the pontoon a deluxe look. Polished corner castings, stainless cleats and tube skirting, all make these models very elegant looking from top to bottom. Overall Length: 21 ft. 4 in. Deck Length: 19 ft. 6 in. 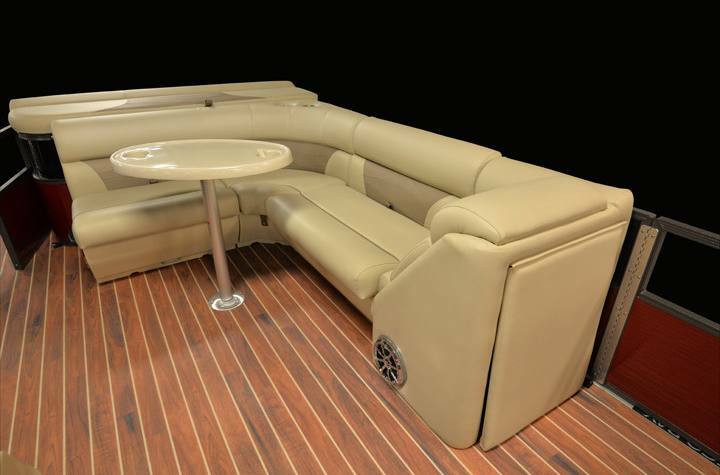 Bimini Top Size: 9 ft.